Transat, A.T., Inc., is a global tourism leader that specializes in holiday travel, including air transportation, accommodations and travel packaging. Limited by their legacy Avaya contact center infrastructure, Transat struggled to provide consistent, seamless service across their contact centers. With locations in Canada, England, Scotland, France and the Netherlands, each Transat contact center was siloed with its own server, hindering agents’ ability to collaborate with each other across contact centers—and preventing the consolidated reporting view the company needed to make data-driven, business decisions. Transat knew they needed to consolidate their service operations and simplify administration. This led to a very important decision. They could upgrade their existing Avaya systems, which would require more servers and the need to undertake the lengthy process of onboarding more licenses. Or they could migrate to a more advanced, contact center solution. 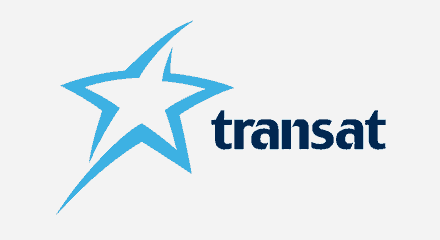 Considering their existing maintenance costs, integration challenges and ongoing need to support new digital channels and applications, Transat chose the Genesys PureConnect™ platform to replace their existing Avaya contact center systems. The simplicity of the all-in-one solution offered new capabilities and channels—all through a single portal for administration.